SheSavvy, a new blogger network for women, has launched its online community at http://www.shesavvy.com, offering unique opportunities for visitors, content providers and brand partners. SheSavvy is a women's community that provides bloggers, authors and professionals with the opportunity to take ownership of the material on the site by posting content that reflects their views, opinions and insights while visitors can enjoy articles suited to their personal interests. 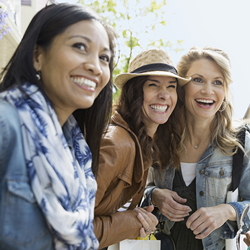 SheSavvy welcomes all women to join the community, post their content and connect with other members. “Our community also presents highly targeted opportunities for brand partners to connect with a powerful decision making audience. We collect extensive demographic and psychographic data from our members, content contributors and visitors - and then strategically match brand partners with influencers most likely to engage with their message," states Paige White, President of SheSavvy. “Our Influence Network allows bloggers to join a select group of brand influencers in order to participate in marketing campaigns with industry leading brands at the local, national and international level", adds White. SheSavvy visitors can appreciate diverse and engaging content while contributing bloggers can post articles on a wide range of topics. Site guests can also enjoy contributions from a wide variety of bloggers ranging from beginners to experts including well-known contributors to CNN, Forbes, Huffington Post, Cosmo, Glamour, WSJ, and other industry leading resources. "Bloggers with an established presence as well as those looking to make a name for themselves have a phenomenal opportunity to get their voice heard while sharing their insights, expressing their thoughts, and contributing views and opinions on vibrant and dynamic subject matter”, adds White. "Our online community provides all women with an enjoyable and informative experience as they discover, share, and inspire one another”. The SheSavvy website is updated throughout the day with new content regularly posted by members of the community making it an ever changing experience for returning visitors. SheSavvy, LLC provides a content delivery platform to women bloggers from around the world. With articles posted by beginners to highly influential bloggers and well established writers, SheSavvy provides site visitors with an ever-changing reader experience. SheSavvy also connects brands and social influencers in order to optimize market reach and message penetration. For more information on the company and its services, please visit https://www.shesavvy.com.